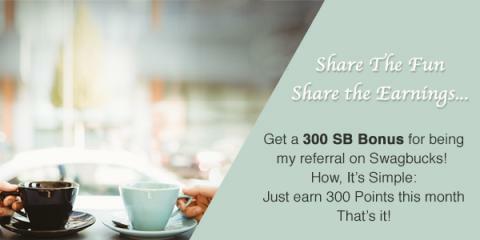 Savvy Spending: Swagbucks: Earn a 300 SB Bonus this month! Swagbucks: Earn a 300 SB Bonus this month! 3. That's it. It's super easy, and Swagbucks is for real. I use it myself, and I've earned tons of Amazon gift cards with Swagbucks!